The formation of sedimentary rock, such as sandstone, involves processes including grain deposition, mechanical compaction, dissolution, crystal growth and cementation. Tools that are capable of predicting porosity and permeability as a function of mineral content and burial history are of interest to the hydrocarbon extraction industry, as these are key components of so-called “reservoir quality”. In this presentation, we will describe the workflow used to carry out such simulations. 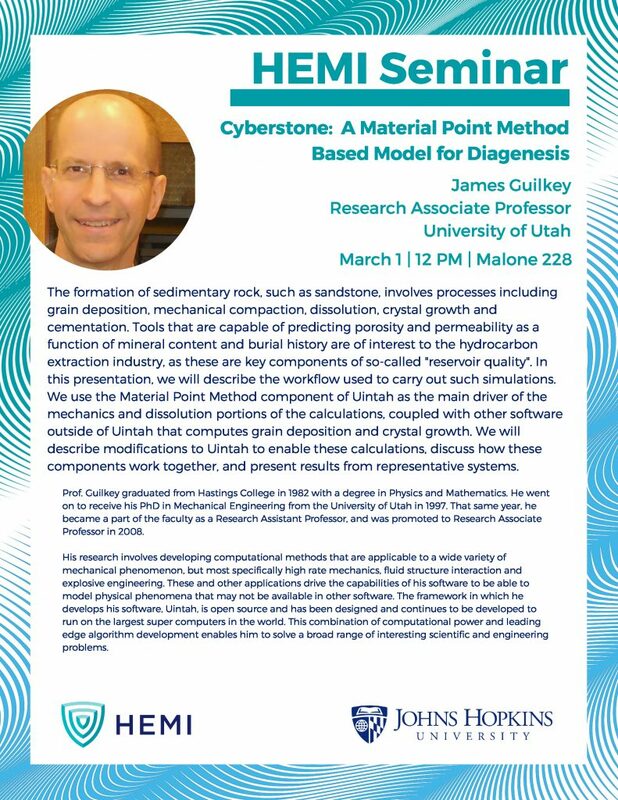 We use the Material Point Method component of Uintah as the main driver of the mechanics and dissolution portions of the calculations, coupled with other software outside of Uintah that computes grain deposition and crystal growth. We will describe modifications to Uintah to enable these calculations, discuss how these components work together, and present results from representative systems.